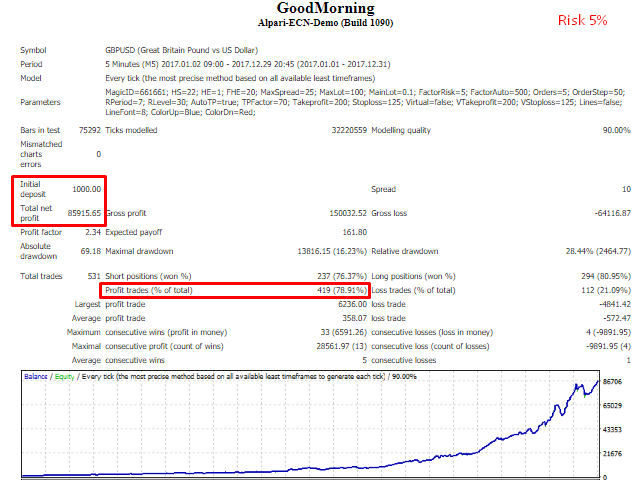 Good Morning opens a pre-defined number of orders following the indicator signals. 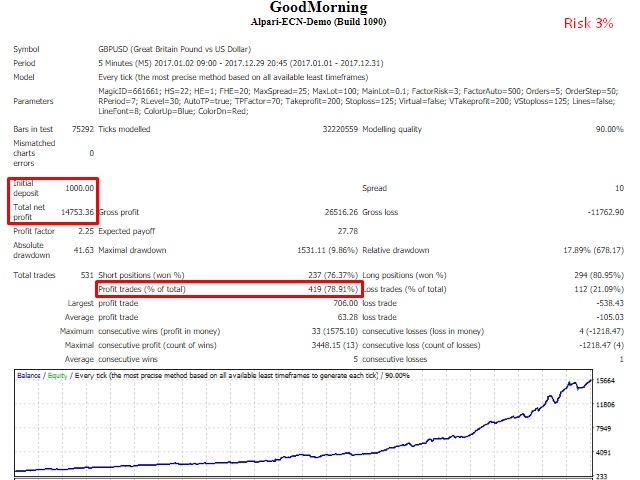 Each order has a specified level of take profit and is protected by stop loss. The EA's feature is the ability to use the system of smart take profit detection to close orders. 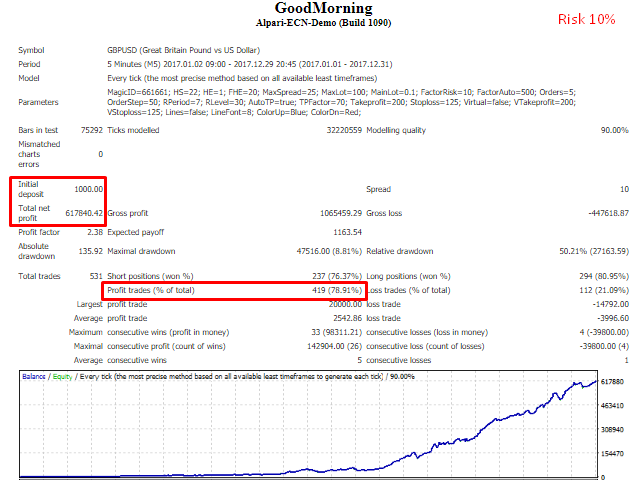 By default, the EA is configured for use as a night scalper (GMT+3) on GBPUSD M5. This EA runs good. I rented it for the month but will definitely buy it. I followed the recommended trade times and opened it on 10 charts across all major currencies. So far, it's been great with small loses but overall doing well. Edit: This EA has unfortunately gone completely opposite on a live account. I wish it was good results but I have to give it 1 star. Very good night profitor. because opent trades in night hours!